If you want more excitement while earning extra income on the side, then you should highly consider gambling on your favorite videos games. Although it may sound complicated to people who are not familiar with betting on sports matches and other competitions, gambling on esports is actually very simple. It is also more thrilling and entertaining to watch compared to conventional sports. Betting on esports is just starting to make waves as it is expected to draw over 600 million followers, amounting to a revenue of almost $1.5 billion by 2020. Rivalry is one of the best esports gambling websites for beginners. It is the perfect betting platform for Defense of the Ancients (DotA) 2 enthusiasts and it features the biggest names in the competition. Unlike those shady gambling businesses, Rivalry is duly registered and regulated by the Isle of Man Gambling Supervision Commission. Your money and personal information are 100% safe in this platform. Deposit and withdrawal requests are simple and fast, and you can also get bonuses and exciting prizes from time to time. Rivalry’s support is available via live chat if ever you’ll need some assistance in the future. 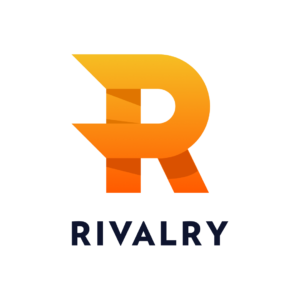 Visit rivalry.gg now to know more. Once you have finally decided to try your luck in esports betting, it is now time for you to learn its basics. Also, you might want to keep note of these five tips to gambling on your favorite video games. Get familiar with the teams and players. Doing your own research is critical in esports betting. If you have time, check out the recorded videos of the teams and the players, and observe how their playing styles. Take note of their weaknesses and strengths and use these as an advantage when picking a team to win the match. Know all the characters and other aspects of the game. Being knowledgeable about the different characters, skills, maps, and other aspects of the game can help you choose the best team where you should put your bet on. Knowing which characters compliment or counters the other can greatly improve your prediction skills. Watch out for last-minute changes. Just like in other types of competition, roster changes also happen in esports. Teams usually make last-minute switches and replacements if they identify weak points in their strategy. Adding an elite player do not always make a team stronger especially if he or she does not fit with other members’ playing style. Be aware of the late changes and revise your initial plans accordingly. One way to improve your betting skills is to create your own odds based on your observations and compare them with the actual ones. Determining these discrepancies provide the best opportunities for experienced gamblers. Only risk what you are willing to lose. Perhaps this is the most important rule that you should remember in any gamble that you’ll take. Always calculate your risks and don’t let your emotions get the best of you if ever you get a losing streak. Start small and build your winnings gradually.